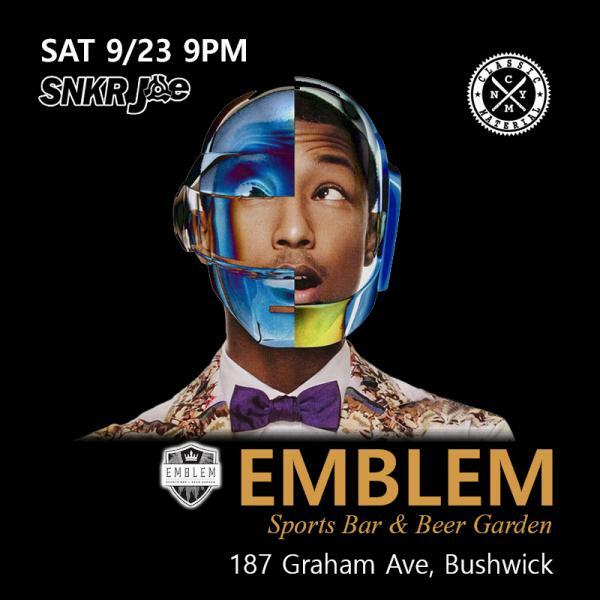 Saturday Sept 23rd 9pm join us for some good beats n eats at @emblem_bk sponsored by @classicmaterialny. Emblem is an all American sports bar and beer garden. Offering a large array of local and domestic micro brews. 15 flat screens + 16 taps.